Abstract — This paper is about the aesthetic, conceptual and technical aspects of the work by new media artist bello benischauer (Australia/Austria) and specifically about his project SUEX, a four-wall installation, presented during ARTECH08. Included is a discussion about recent projects, mainly audio-visual installations. Please refer to the artist’s website for more information about projects and released DVDs. benischauer’s DVDs are part of Contemporary Arts Media (CAM), one of the leading consultants and suppliers of films and books for Arts Education. Index Terms — Art, Digital Communication, Displays, Education, Environmental Factors, Large-Screen Displays. 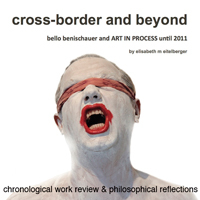 bello benischauer has exhibited regularly since the late 90s in Museums and Centres for Contemporary Art in Australia, Europe, the United States and Asia. Multiple visits of various countries like South- and Central America, Pakistan, Iran, Nepal, South- and East Africa, Indonesia, New Zealand, India and Australia result today in a deep connection to world-cultures. His projects explore the relationship between humanity, technology and the natural environment in the use of various artistic techniques to create mainly audio-visual installations. The work aims to eliminate existing distances, borders and barriers between countries, cultures and people in general; it tries to make aware of problems but also possibilities concerning multiculturalism, globalisation and mass consumption in relation to Human Rights. Interested in showing boundaries, mergers, fusions and crossovers of the worldwide movement of people/cultures and the hybrid of cultures and their habitats (sociologically spoken) benischauer’s work is strongly committed to present projects that reach the viewer on a deeper level. Furthermore his work points out the importance of and addressing, accepting, protecting nature as the main source of all living matters and forms on earth. The artistic outcome of benischauer’s projects discusses a possible future, how the human world will/could develop, which fertile and symbiotic relations/communities/worlds can be grown and created on this planet, in concentrating on environmental sustainability on different levels (i.e. ethical living, eco-technology). A continuing work progress throughout the last few years result today in a number of audio-visual installations, that have continuously been looking for a strong nature component in context to human environment and the necessity to change thinking and behaviour when it comes to the valuation of nature. More recent work celebrates the multitude of technical advices, mass information and identity, searching for individualism in urban structures, reflecting on anonymity and personal space and existing ignorance on a broad spectrum (Identical City 2004, manipulated 2005, digital evidence 2005); whereas his early work was focussed on the forms and colours of nature and the relation to human beings that have attempted to control, recognise, and mark nature with signs of their presence (Maybe It’s Only…Imagine! 2001, Digital Trilogy 2003, Project X… six transformations of life 2004). Still, the question of Where do we come from? and How far are we prepared to go? in controlling nature (i.e. through genetic engineering) has been present in the artist’s work throughout the years in a variety of installations that try to examine these questions in different ways. The artist’s strong urge to identify himself, his work and the viewer with the world from today leads to work that talks about global context, about the necessity to open up, step outside the frame we usually inherit in certain forms and then to look at and absorb the global picture. This, the artist believes, is the only possible way to start learning to observe things differently, understanding present forms of social and economic frames, before we can start to work on the future. The global discussion about sustainability in context to the environment and raising concern and awareness of related issues as well as the recognition of an encreasing growth of a global, unifying culture that loses its basic origins, make benischauer’s work for the viewer an immersive platform to distinguis a change of thinking, a shifting of accommodated world conception. In his recent projects the viewer is suddenly confronted with i.e. language barriers (in the sound compositions) and an “unwanted” identification mixed with thoughtless consuming pattern. (Asagao 2007, SUEX 2008). The viewer experiences the loss of his/her familiar surrounding being adopted to function as the centre of the world. Outside his/her comfort zone, a first recognition of There is something else than me can take place, which then can lead to active change of thinking and behaviour. His latest project SUEX in High Definition is an installation consisting of four videos in relation to four different sound compositions. SUEX (Sustainability and Extinction) talks about Western Society: living a luxurious life at the expense of others, addressing consequences of exploitation people have to suffer from. We have to get conscious about our world in times of Climate Change affecting different issues. One of these issues is to get aware of origins in relation to mass consumption. SUEX mainly concentrates on exploitation concerning cheap human labour and the human being behind it. Which resources are used to enrich Western Society and lifestyle? SUEX looks at the word sustainability in its meaning of protecting and keeping things how they are; but also in addressing its opposite “extinction” and the necessity of destroying to create something new. It looks at consequences sustainability can cause, which can lead to extinction. SUEX is about our world in which we learned to ignore. It wants to find a way out of it, to not only start looking but also taking action to actively change situations and behaviour. Basis is an aphorism in 16 sequences by the artist. The text is translated into Hebrew, Japanese and Noongar*. The text was recorded in each language, building the main sound. 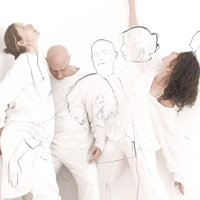 The four videos play simultaneously, “speak” to the viewer and try to get his attention in building a conversational atmosphere in confrontation to the viewer. *Noongar – language of Indigenous Australians, southwest corner of Western Australia. Various dialects. The new work body SUEX questions human-nature relations in a different way. Is previous work’s aim to get consciously aware about what we do to us and nature, SUEX now leads the audience to actively change behaviour – from collecting to conserving, mass consumption (in any form) to viewing and observing details to get aware of origins… Irritation and a flood on information are now set against concise studies i.e. of a slow moving starfish or a road train – selectively showing the motion. SUEX forces the viewer to observe slow movements again rather than quickly consume and inhale mass information. The whole project consists of 64 parts of High-Definition video including sound on Blu-Ray Disc. The artist uses language as a strong component for his sound compositions in relation to create a certain rhythm and effect. Bringing different languages together in a sound composition results in a specific sound experience. This can be done with any language and in any combination. Nevertheless some languages in their connection to each other are more attractive and reach a higher effectiveness. Bringing together various languages means for the artist to metaphorically connect certain cultures with each other. He makes people listen to languages other than their own, intending to cause discomfort and irritation within the viewer. Using language can either include or exclude the viewer, it can work as a tool to practice acceptance against other cultures in being confronted with own ignorance, personal and individual barriers. The viewer should get to the point where he listens to the whole composition as a composition of voices speaking in different languages and feeling comfortable not to understand each word/voice. The artist believes in the existence of a global under-standing beyond language skills that is able to connect people, no matter what language/s they speak themselves. SUEX talks about mass population and nature, about the variety of things on earth and its meanings in a global context. SUEX tries to make aware of the varieties that exist. Language in only one specific tool of communication, used by the artist to make aware of the limitations we face in understanding each other. The viewer is forced to search for a connection besides language skills. Starting to accept own limitations can open the viewer’s mind and can – after confronting him with certain issues – lead to new insight and a positive experience. benischauer’s solo-exhibition, currently touring Australia, called IMPACT & FUSION (2008 – 2010), shows wall-objects that meet audio-visual installations, questioning the social impact of human beings on nature through mass consumption and globally increasing population. The exhibition highlights work from the last couple of years. The exhibition catalogue can be viewed online. 2008/09 project EXILe is under construction. It will infertile future and VICTIM and other audio-visual installations in High Definition. All recent audio-visual installations have been released on DVD and are part of Contemporary Arts Media Inc, one of the leading consultants and suppliers of films and books for Arts Education. ASAGAO 2007 – An artist’s text spoken by three women’s voices in three different languages (English, German and Japanese) leads through a digital composition about relationships between the human being and nature. The artist shows the human being as an alienated and remote-controlled figure that strolls through shopping malls and finds itself exposed to nature and a world based on urban areas, traffic and mass media. The human body starts to float, losing individualism and independence. DIGITAL COMPOSITION a collector’s edition 2006 – A special edition presenting a summary of the main digital work by bello benischauer on a double-DVD from 2001-2006, containing video documentations of inter-disciplinary exhibitions, videos from the individual DVDs and further video installations. manipulated 2005 – Deals with questions about nature and human beings, showing how the fragments and remains of pre-existing life forms become the starting point of new creation. Where do we come from? How far are we prepared to go? The urge to take control of nature, genetic engineering and searching for an overall answer are the main issues that find expression in this virtual collage. 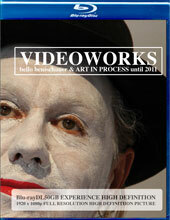 The work tells its story through the composition of a multitude of scene shots, selected from films and documentations. PROJECT X… six transformations of life 2004 – Aphoristic “talk” about world and inner experiences; from birth to growing up, from reproduction to death the main video shows a path through six stages that should provide a self-identification for the audience to bring up own experiences and intentions of struggling with individuality and mass phenomenon. Digital Trilogy 2003 - Differences and cultural identities between people: focusing on modern developments inspired by nature and urban settings the digital installation is about how people interact with nature and the modern world; shortcuts and profiles of facing the beauty temples of Western Society such as soap operas, shopping centres and mass events. Maybe It’ Only… Imagine! 2001 – Examinations of dreams and reality by focusing on the forms and colours of nature; human beings have attempted to control, reorganise, and mark nature with signs of their presence; seven videos as digital paintings, moving pictures questioning the natural cycle of death and rebirth.